Low Carb Diet News - Tag Archive for "High fat"
Little Fields Taylor, from Melton Mowbray in Leicestershire suffers from a rare genetic disorder which affects her ability to speak. But miraculously, after starting a new diet just three months ago, which includes almost a kilo of Philadelphia a week, the adorable three year old has finally spoken her first words. Delighted Mum, Stevie, 34, said: “The first time I heard Fields say Mum it was just wonderful. “I didn’t really believe that something so simple as changing her diet could make such a big different. “The amount of Philadelphia she goes through is a bit mad but the effect it’s had is amazing. The toddler has been diagnosed with an extremely rare condition called Glut1 Deficiency – it means her brain is starved of energy because her body cannot transport enough glucose. There is no cure for Glut1, which affects just 25 people in the UK, but children can be helped with a special diet called the Ketogenic Diet. Her new diet is high in fat, and forces her brain to use this as its energy source – rather than glucose. Stevie said: “At first I was pretty dubious about the diet – I didn’t see how food could make such a big difference. “But within weeks you could see it working, she was more alert and her personality seemed to come out a bit more. “Then, one morning I was in the kitchen and all of a sudden I heard this little voice shout mum. “I dropped what I was doing and ran into the direction of Fields and just couldn’t believe what I was hearing. “There’s been times that I never thought I’d hear her speak. I was just over the moon. 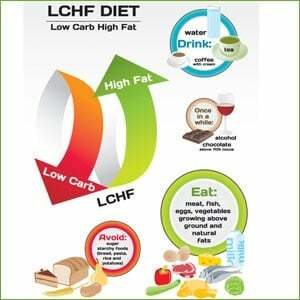 The Ketogenic Diet is high in fat and very low in carbohydrates. Field’s must also drink 50ml of a special oil four times a day to boost her fat intake. Stevie said: “Sweets, cakes and fizzy drinks are out, but anything really high in fat is great for her. “It was hard to get used to at first – I’d go shopping and start buying loads of butter, cheese, and oil – things that you think are unhealthy. “Philadelphia really has been our saving grace – she just loves the stuff. She’ll pile it up on crackers and it gives her loads of energy. “I do get funny looks when I give her a tiny piece of toast with layers and layers of butter on but the diet has really worked wonders for her. …The only way to treat the condition is by starting the Ketogenic Diet which Fields was put on in April. Her parents are now hoping that, thanks to the diet, her condition will improve even further. Stevie said: “We went to a Glut1 conference in America last week and there were children there that were walking. “It’s a huge goal for Fields to reach, but she’s progressed so far in such a short time. Emma Williams MBE is the CEO and Founder of Matthew’s Friends, a Ketogenic Dietary Therapies Charity. Emma said: “The Ketogenic Diet is really the only treatment there is for Glut 1 DS and sadly there are still patients in the UK that have been diagnosed with Glut 1 DS that are then put on a long waiting list for the treatment – this is not acceptable as there should be no waiting list for these patients. “The longer they are without treatment the longer their brains are being starved and the more damage can be done.